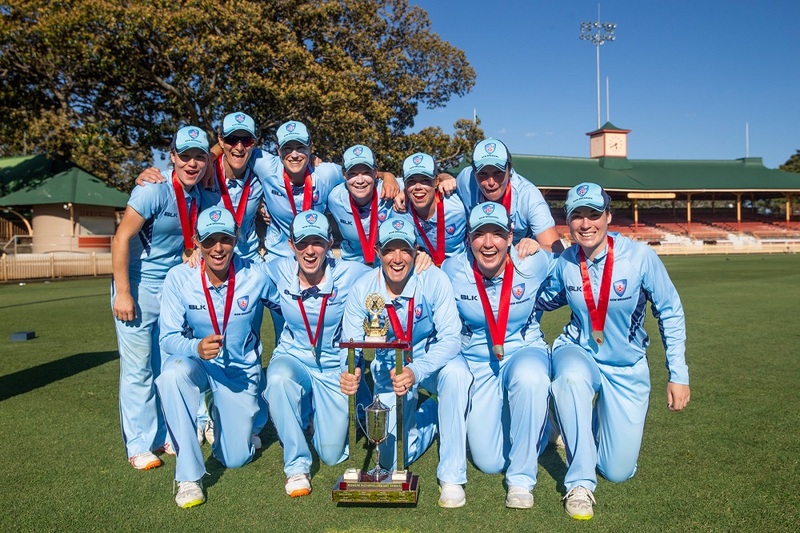 The New South Wales Breakers have secured the Ruth Preddy Cup as Women’s National Cricket League champions for the 20th time at North Sydney Oval on Saturday with a 31-run win over the Queensland Fire. The Breakers were in total control for the majority of the run chase and Queensland was eventually dismissed for 228 in the 48th over. NSW made 7/259 from its 50 overs. It was the first title for Australian wicketkeeper-batter Alyssa Healy as NSW captain, in what was the final match for allrounder Ellyse Perry in sky blue, for the foreseeable future at least. NSW have now won the competition for all but three years since its inception and made the deciding match in every one of the 23 seasons. Breakers allrounder Nicola Carey was named Player of the Final after a dynamic 50 from 67 balls and impressive figures of 3-39 from 8.2 overs. Her wickets included the vital scalp of Australian opening batter Beth Mooney (34 from 49) that turned the match in the favour of the Breakers. Carey also shared a pivotal 103-run partnership for the third wicket with Rachael Haynes. The opening batter top-scored for the victors and made 79 from 105 balls including 10 boundaries. Healy said it was a special feeling to win that first title as skipper and do it for Perry in her final match, but even more satisfying was the manner the title was achieved, including two must-win matches to qualify for the decider. “It was a win for the group as well,” Healy said. “It had been a really tough WNCL, we’ve had players missing here, there and everywhere and players coming in and out. “To come back together, reunited after a WBBL and put three really good games together was really special. “Individually I’m really chuffed, I didn’t want to be the first captain to let it slip,” Healy said with a smile. Perry, in her 73rd and final Breakers match before moving to Victoria next season, claimed a stunning catch and made 31 from 52 with bat in hand. The allrounder made significant ground along the boundary edge at deep mid-wicket and dived to her left, dismissing Queensland captain Kirby Short (8) in the 8th over of the chase. Perry said it had been an absolute honour to have played so much cricket for the Breakers. “I feel incredibly fortunate to have been able to represent NSW and all that it stands for,” Perry said. Carey said contributing to the win was extra special and it hadn’t really sunk in that the team had won 20 titles. Some power hitting by Ashleigh Gardner towards the end of the Breakers innings also helped the set Queensland 260 to win. She made 30 not out from 29 balls. Despite some similar clean striking by Australian allrounder Delissa Kimmince (44 from 41 balls), the loss of early wickets was too costly for the visitors. The multiple wicket takers for the Breakers included Carey, Rene Farrell (2-37) and Gardner, who picked up 2-36 from nine overs with her off-spin.